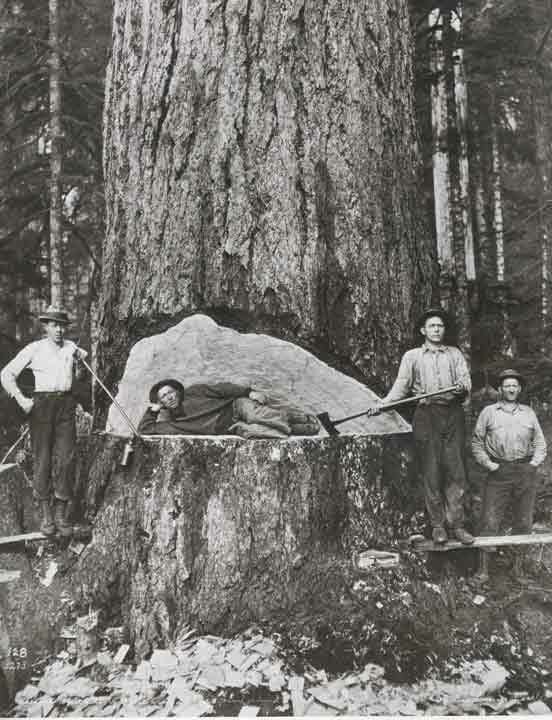 Getting logs to the mill is hard. Shouldn't the paperwork be easy? LoadCalc Professional! 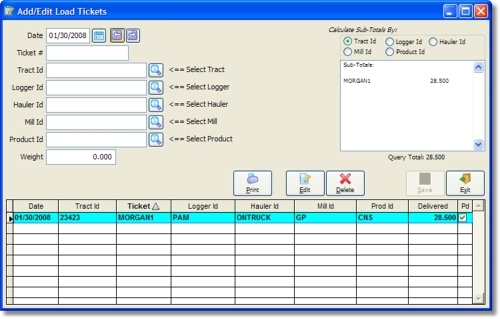 can make the tracking of logger load tickets the easiest part of your day. With LoadCalc Professional! 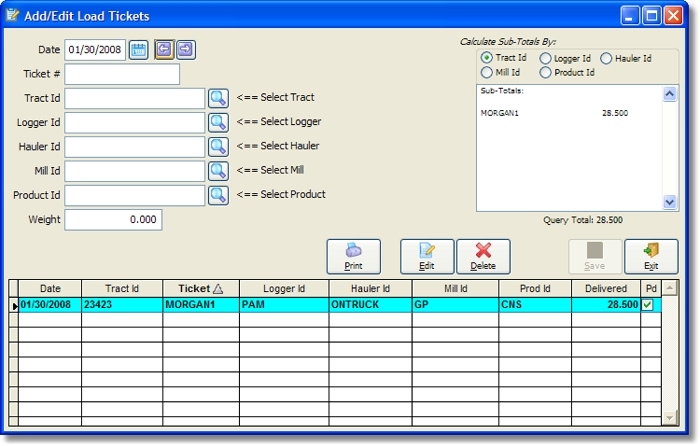 you can enter a load ticket once and then generate reports by logger, hauler, mill, tract and product with just a click of a button. And now the long wait is over! LoadCalc Professional! is the direct descendent of the original LoadCalc for DOS but it is already out-shining the original. Tarver Program Consultants, Inc. has combined the ease of use of the original product with their more than 25 years of programming experience to produce what is without a doubt a masterpiece of technology, simplicity, and accuracy. But don't take our word for it. Download a demo of LoadCalc Professional! today and see for yourself. We believe that you will agree that LoadCalc Professional! is the easiest to use timber load ticket tracking system available on the market today, and one of the most affordable too! With the release of this version, LoadCalc Professional! takes its place next to its sister product, CruiseCalc For Windows and extends our current suite of software tools for the Timber Industry.